Wallingford Community Council members held a funeral dirge for "the neighborhood voice" when MHA didn't go the way their liked. Last year members of the Wallingford Community Council (WCC) threw a mock funeral for the “neighborhood voice” at the Seattle Office of Planning and Community Development’s open house on the Mandatory Housing Affordability (MHA) rezone maps. The democratic process was being subverted, they argued. The City wasn’t listening to the neighborhoods (by which they meant community councils like their own). Some neighbors would dispute that the councils speak for them and point to elections to show they aren’t democratic–Wallingford residents are each required to pay $15 (or plead their case for a waiver) by tomorrow (Tuesday, April 24th) to participate in the WCC election on May 9th. Wallingford resident Paul Chapman, who ran unsuccessfully for a WCC board seat, last May pointed to the groups lack of published minutes and flouting of its own bylaws to illustrate his point. Much of the tension stems from the Mandatory Housing Affordability (MHA) program, which pairs modest upzones with mandatory contributions to low-income housing. Some Wallingford residents, such as the group Welcoming Wallingford, are organizing to pass MHA. Meanwhile, the WCC signed on to an Final Environment Impact Statement (FEIS) appeal seeking to block the rezone and affordability program. They’ve also printed and distributed anti-MHA lawn signs across the neighborhood. Wallingford Community Council members held a funeral dirge for “the neighborhood voice” when MHA didn’t go the way their liked. They portrayed Councilmember Rob Johnson, who represents their district, as the Grim Reaper. The WCC did not give much advance notice of its annual election for officers and board members. On April 15th the WCC posted an announcement on its website with the warning to get dues in within nine days or be ineligible to vote. Paying the poll tax at the poll would be too simple. WCC did email their subscriber list on April 3rd an update that included announcement of the Annual Membership meeting at the bottom, technically meeting the WCC by-laws dictate 30 days notice for the annual membership meeting. The by-laws also stipulate a lengthy nominating process that was supposed to start in January, when they didn’t hold a meeting. Nominations to be considered for a position were apparently due on April 18th three days after the website announcement. As such, it kind of seems like the same old guard leadership will stay in charge, with limited avenue for new input. So why should you care who runs the Wallingford Community Council? The short answer is that we need to diversify the voices in neighborhood activism and reclaim the mantle of “neighborhood voice” from those who would abuse it. The longer answer relates to history. It’s true that two years ago then-Mayor Ed Murray de-emphasized Neighborhood District Councils–to which the community councils get to elect representatives–by no longer earmarking City staff hours for attending District Council meetings. That move, announced in 2016, decreased the official power district councils (and thus community councils) wield, which had involved controlling three important neighborhood grant streams. Seattle’s Department of Neighborhoods Coordinator Kathy Nyland pointed to the need to design a system that better incorporates the views of younger people, people of color, and renters and encourages their participation. Even with the change, community councils retain considerable influence as well-resourced special interest groups and from their decades of agitating–with many of them focusing on maintaining status quo zoning or downzoning. Often you hear single-family-zoning preservationist longingly look to the halcyon days of the early 1990’s when the City allowed community councils to rewrite their neighborhood plans and zoning just how these homeowner groups liked them–typically this meant as little multi-family zoning as possible. If you go back far enough in land use history, you reach the days when detached single-family zoning was devised with an aim of keeping people of color and lower class people out of wealthy white neighborhoods. Urban single-family zoning is not as outwardly as segregationist as the racial covenants that outlawed people of color from many Seattle neighborhoods in the early 1900’s, but the effect is very similar. Plus, if the neighborhood planning process doesn’t go their way, some councils have shown themselves to be deep-pocketed and all too willing to sue to delay changes as we saw with not just the MHA FEIS appeal, but also the backyard cottage bill and on a project by project level, such as this delayed Phinney Ridge project. For my part, I tried my hand running for the WCC in 2016. I lost to a guy who opposes Seattle’s Housing Levy and got nominated from the floor. In a way, I’m relieved I lost. I stopped going to WCC meetings, but the handful I’ve attended have been fairly excruciating–usually with at least 30 minutes dedicated to complaining about parking and the apartment dwellers who are taking “their” on-street spots. It might come as a revelation, but people who do not own a car (e.g., me) do not find parking loss a riveting topic. My impression was that people wanting to work on things other than blocking MHA and hoarding parking may not find much for them at a WCC meeting. It doesn’t have to be this way. Community councils could focus on parking reform, tenant protections, bike network upgrades, safe pedestrian crossings, wider sidewalks, Vision Zero, street/alley activation, Barcelona superbocks, or an aggressive climate action plan. Imagine the possibilities and the attention we could lavish on making better places for people when we stop worrying so much about car storage! The Wallingford Community Council’s annual membership meeting starts with member sign-in at 6:30pm on Wednesday, May 9th at the Good Shepherd Center. If you want to vote, you’ll have to pay your dues of get a waiver by tomorrow (April 24th). You must live within the WCC’s boundaries which run from SR-99 to I-5 and from Lake Union north to 65th Street. Or if that sounds too intimidating, Welcoming Wallingford would be glad to have you, no dues necessary. Author’s note: This article has been updated to reflect that WCC did email their subscribers list on April 3rd which technically met the requirement for 30 days notice set out in the by-laws–even if the website announcement lagged somewhat. LOL, Murray tried to get his grand bargain through without an EIS, lets see what comes of effectively rezoning all SFR to multi-family. Seattle will turn into an even bigger cesspool with mini-apartment complexes on every block. Glad to see someone standing up to this. I realize I’m a few days late to the party, but I’d like to correct some inaccuracies above, and expand on the assertions. 1. Miranda notes that a notice went to membership on April 3. This was a notice of a meeting agenda at which an announcement of the Annual Meeting was to take place. That this violates the spirit, if not the letter, of the By-Laws is evidenced that there were a number of people who saw the April 14 announcement as the first notice of the meeting. 2. As Donn should be aware, as an officer of the Wallingford Community Council, the boundaries of WCC membership are: sounth of 65th, west of I-5, east of Aurora. Doug Trumm, the author of the article, lives within those boundaries; he does not “live in Fremont”. That Donn appears to not be aware of this is indicative to the cavalier attitude that at least some of the Officers have toward the By-Laws. 3. At the Annual Meeting a few years ago Doug ran unopposed in order to expand the representation on the Community Council. Donn and others now on the board orchestrated a behind-the-scenes attack to get himself nominated *precisely* to prevent diverse representation on the council. And now Donn says “There were a couple things about that episode that could have been done better”. 5. RDPence claims that a poll tax is necessary to prevent people from showing up to vote and never being seen again. As a regular attendee at most monthly meetings, I can assure RDPence that most of the people who show up to the Annual Meeting never show up at another event. There are other ways to ensure the WCC has adequate funds other than charging residents for the right to have a say in the Community Council that purports to represent the voice of the neighborhood. In fact, a large number of other community councils in Seattle do *not* have a poll tax. 6. Donn, as an officer of the organization, claims to have no knowledge of “the precise details of WCC expenditure”? Surely one of the expectations of an officer is to understand where the money is being spent? Then again, as a member of the WCC for several years, I have never seen a list of expenditures, a budget, or a balance sheet. 7. Donn, as an officer of the organization, should recall that at most board meetings the issue of parking and housing density is raised by someone party to the anti-HALA crowd. 8. Donn, channelling his inner Gingrich, seeks to have it both ways. He claims both that “the community councils do speak for their neighborhoods” and that they are a “club” as justification for poll taxes. He’s eager to rail against the city denying “the neighborhood voice” while simultaneously silencing alternate views within his own neighborhood. And that an organization that has ginned up opposition to building housing in Wallingford since the 1970s isn’t “anti-housing.” If the Wallingford Community Council were to rename itself “The Wallingford Homeowners Association” and change its by-laws to clarify that it speaks just for the wealthy homeowners in the neighborhood, then I think few people would have issue. But WCC persistently claims to represent the views of the neighborhood while systematically silencing alternate views held by many in the neighborhood. In fact, given that pro-HALA and pro-urbanist candidates have repeatedly won election in the neighborhood by wide margin, one could argue that *most* of the neighborhood opposes the anti-density position of the WCC. 9. The meeting minutes for February and March are still missing from the WCC website. At the end of the day, the WCC is run by a small group of anti-housing activists who play loose with their own by-laws and have actively blocked outsiders in order to prevent broader representation of the neighborhood. It’s sad that the current WCC lacks the vision for what a truly Neighborhood Council could be. All those folks who believe the Wallingford Community Council doesn’t represent, doesn’t “speak” for Wallingford are more than welcome to form another community organization which might better reflect the community. The WCC has no franchise on community representation. Go out and do the organizing work (and yes, it is *work*). (You might even get some back-door support from City Hall.) You could call it Welcoming Wallingford, or something like that. Identify yourselves, hold open meetings, allow people to get involved. Choose leadership based on some democratic process. It’s what we did back in the day. It’s past time to stop complaining about the WCC. Put up or shut up, to put it crudely. Last year the shamelessly anti-housing WCC submitted a comp plan amendment to gerrymander *all* of the single family zoning *and* the only park out of the urban village boundary. Wallingford residents had already made themselves pretty clear on this, if you’re worried that WCC might be out of step with its membership. There isn’t any mechanism for a plebiscite or anything like that, but there was a well attended “workshop” event that generated a lot of documented commentary. I’ve been attending meetings for only five or six years, but I’m not aware of any respect in which WCC is “anti-housing”. the WCC oppose ADU liberalization, they oppose the affordable housing rezones of MHA, they submitted a comp plan amendment that would remove thousands of units *and* the only park from the wallingford urban village, it has a board member that opposed the housing levy. you can’t get much more anti-housing than that. i was at the workshop as well. NIMBYs lied about HALA, zoning and all sorts of things right to my face. it was something else. Seems likely to me you may have some misunderstandings about HALA and zoning, if you think the above qualifies as “anti-housing”. Maybe you should have listened to those people, instead of just inaccurately labeling them as NIMBYs. I believe Paul Chapman is on our list and received this April 3rd email. Please Note: at the April 4th monthly meeting, I also announced the May 9th date for the Annual Meeting. offended. Doug never says anything about those two things: 1.) running for election as an unknown with no prior interaction with the WCC, and 2.) 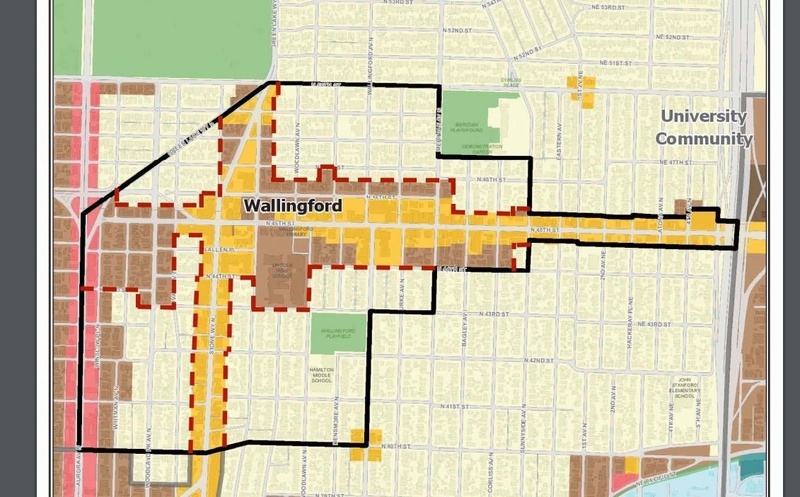 that he had written an article < https://www.theurbanist.org/2016/02/04/wallingfords-45th-street-is-ripe-for-development/> that offended a lot of people in the neighborhood. 3.) Posting the minutes of monthly business meetings to the WCC site: thank you for letting me know. In the future, a simple email to communications @ wallingfordcc.org would suffice. Believe it or not, while we are not always in agreement with The Urbanist writers’ point of view, the current WCC Board is not as diabolical as this article makes us out to be. P.S. when I try to edit the links, they show as correctly written, but don’t once I submit. To follow links, I think if you replace =”” with / it should work. FWIW. I had been to one WCC meeting and a HALA meeting where most of the board was in attendance when I ran. In my defense, nobody else was running for the third at-large seat ahead of the meeting so I had no reason to suspect I was stepping on anybody’s toes. I also submitted a bio and pitch when I applied as instructed. Anyway this has all been litigated and re-litigated on the original article. I’m not implying the WCC Board is diabolical. Only that there’s a diversity of opinion in the neighborhood which isn’t represented there. By insinuating and sometimes outright stating WCC is THE neighborhood voice and making it hard/uncomfortable (be prepared to be Googled and heckled) for tenants to get involved, WCC members do that diversity a disservice. Feel free to run the council that way; just give up the pretense of democracy and speaking for all. I’ll amend the article to note a email to subscribers did go out on April 3. Why put the announcement at the very bottom though? There were a couple things about that episode that could have been done better, but I just want to point out that there are few if any organizations where it makes sense to walk in, with no previous involvement with the organization, and get a seat on the board. Make it hard for tenants to get involved? Not at all! Tenants are regularly involved with zero problems, have been board members too. But involvement usually starts with coming to meetings, engaging in a productive way, etc. Doug, I disagree with you a lot, but you’re right on this one. The city needs to have a defined process for soliciting statistically valid samples of neighborhood opinion on zoning and related matters. Otherwise, those with the most free time (Thursday evening? Time to head out to the Upper West Area Neighborhood Advisory Council Planning Subcommittee Bimonthly Workgroup Meeting!) end up being the ones with the most influence on the process. Look at the city’s HALA focus groups exercise for an example of failure. The City could follow the wishes of some urbanists and just abolish SF zoning. Allow developers to build apartment blocks whatever size they want, wherever they can buy property. I remember members of the WCC erroneously believing “exclusionary zoning” was a phrase I made up. If the “community councils” were a representative voice then we’d have elected a City Council that they didn’t have to rail against. We didn’t, they aren’t, and nobody should be fooled. Nobody is trying to fool anyone. If you think elections, in Seattle or just about anywhere, are a reliable way to get to the best policies, then … I guess you get what you deserve. I personally think we’re lucky to have a bunch of neighborhood activists who are willing to put their time and skills to use, for free, going up mainly against the well funded apparatus that supports initiatives like MHA. The neighborhood councils have an official relationship with the city and their names and posturing imply that they speak for the neighborhood as a whole. In reality they have a pretty strong tendency to their particular point of view. A bunch of neighborhood activists? Great, say your piece, but if you’re claiming to speak for the neighborhood against the representatives we elected to the City Council… we should always take that claim with a grain of salt. No, that’s wrong. Community councils have no status with the city at all, official or unofficial. The article mentions the District Council system, though I think it may exaggerate the role that community councils played there – there were many organizations enrolled in the district councils along with the local community council, and the “power” I’m aware of was exercised mainly in selecting a minor street improvement that might or might not be carried out by SDOT. “Important grant streams”, I guess that was. If it were about the DIstrict Council system, no one would have ever cared about community councils. But yeah, the community councils do speak for their neighborhoods, and pretty much only the community councils. Vs the electeds who speak for the interest groups that get them elected, which unfortunately only occasionally includes ordinary residents. Wallingford is a sore spot for the development boosters because, thanks to the efforts of its community council over the years, there are more people here who understand enough about land use issues to have an opinion about them, though that’s still not everyone or even likely a majority. While you can get some idea of the community level of support for WCC’s position by walking through the neighborhood and counting those yard signs, I can’t pretend that everyone who’s posted a sign has a really adequate understanding of what it’s about – they know something, which is far better than average, but who has time to become well versed in this stuff. People vote for council representatives trusting them to handle that business, and the communities benefit very much from the groups of unpaid activists who are keeping an eye on their representatives. And seriously, complaining about a $15 membership when people who are low income are even given the opportunity to have that fee waived? Seriously? I noticed that the Urbanist asks for donations and that Cascade Bicycle Club, Sierra Club all District Democrats all have membership fees. Will you also complain about them? Yes, *clubs* tend to have membership fees. Is your argument that the WCC is really a club? I hesitate to call it a club, just because you seem to see a meaningful distinction in it and I don’t know what you’re thinking of, but right off hand I can’t think of any reason you couldn’t call it a club. Is it a council that purports to speak for an entire large and diverse neighborhood, or a club that is a collection of like-minded individual pursuing their interests? WCC claims its the former, but ends up acting a lot like the latter. Where does WCC claim to speak for Wallingford? with city government on land use, transportation, and parks. I admit, that lends to the ambiguity we’re wrestling with here, but seriously, everyone knows very well that WCC and other community councils aren’t and can’t be, as I put it, representative bodies in the sense that the City or County Councils are. The councils do represent their neighborhoods, but as “a neighborhood voice” (not “the neighborhood voice.”) And they do – they don’t just claim to, or The Urbanist crowd wouldn’t regularly whip itself into a frenzy over community councils. If you put yourself out there as a group designed to advance a particular agenda on behalf of like-minded individuals, it’s a whole different story than if you claim to represent the whole community. It’s an issue with no substance. You went as for as to say that actual elected officials don’t speak for their constituent, but this little pay-to-vote club does. Wow, quite the one-sided opinion piece. There are so many 1/2 truths expressed here from someone who’s only attended a “handful” of meetings and still sounds bitter over losing an election. Wouldn’t it be democratic if you to actually let both sides tell their stories? (See http://kuow.org/post/wallingford-fought-developers-decades-it-was-hip The full text is not transcribed on the website; you have to listen to the audio to hear it). Good project for today’s WCC: re-legalize duplexes and un-do these downzones. Grandfathered buildings are extra-great when they’ve got orange signs out front, like the commercial building on 52nd St. Going back 40 years or more, the the duplex-to-SF downzones complained about were largely driven by homeowners who bought many of those roughly converted houses and restored them to SF for their families to live in. They wanted the stability of a neighborhood of resident owners, with fewer marginal landlords letting their properties decay. It was NOT done to keep out undesirable tenants or working class people or anything of the sort. But I can appreciate how latecomers to Seattle can look into dusty archives and see what they want to see, finding drama where there was none. How is trying to get rid of housing working class people can afford different from keeping those people out? Please remember — this was over 40 years ago, a time when working class folks had little trouble finding affordable housing in Seattle and in Wallingford. 2-bedroom houses could be had for $30K. In the eastern side of Wallingford, many of those duplex units housed UW students (I was one) and crash-pads for hippies. I moved to my current location in western Wallingford 20 years later, and at least one house on the block was occupied by young people of less means, though if I remember right, a relatively well paid young computer programmer infiltrated the group, a novelty at the time. Of course, torn down shortly afterwards, and now the “affordable” (really not at all) multifamily townhomes in its place are occupied by stable, well heeled professionals. If it really meant living cheek by jowl with the lower classes, I think the support for upzones would completely evaporate among the comfortable citizens of Rob Johnson’s voter base over in Laurelhurst, but that isn’t what it’s about at all. There aren’t any poor people coming to your neighborhood, to live in that new construction, and it’s easy to strike a pose for inclusiveness when you’re not really going to have to live it. Ironically, people who’ve been here a while have lived it. Wallingford had its run down, less affluent side in considerable abundance back in the day. What’s coming is nothing like that, any more than the new Ballard is anything like that. Give me a break with the “those people” rhetoric, it’s fraudulent. We wanted to keep renters out, but we didn’t do it to keep renters out. The problems weren’t with tenants, they were with landlords who didn’t maintain their property (did you even read my comment?). Not an unusual phenomenon in neighborhoods near universities. Note there are lots of Seattle neighborhoods where homeowners are kept out, and we don’t hear them complaining. Pretty hard to get rid of the landlords without also getting rid of the tenants. Whether they were your target or not is irrelevant; the effect is that building homes for lower-income renters became illegal in much of the neighborhood. 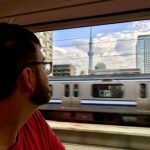 I never lived in anything but a rental until I bought my first condo at 28. You wonder why people might take offense? And I take offense at your tortured view of Seattle neighborhood activists. So I guess today we’re even. Yet what matters more than our mutually hurt feelings is that people with less rather than more money have been and continue to be harmed by those downzones, so perhaps we should set the former aside in order to change the later. Sure they were! Many of the homes in Wallingford had been converted to duplexes that, by your own words, “housed UW students” or were “crash-pads for hippies.” Both students and hippies were generally lower on the income scale. Your advocacy prevented more of these conversions from taking place, ensuring that future residents of the remaining homes would need to be able to afford to rent or buy the whole thing, rather than just half. Sigh…. There needs to be room for everybody in Seattle, homeowners as well as renters. Conversions go back and forth over time. It ain’t a one-way path. It used to be a two-way path. You could build a duplex and turn it into a single-family home, or vice versa. Now, due to the downzoning that the WCC successfully pushed for a few decades back, it’s a one-way path. An old duplex can be converted into a single-family house, but you can’t legally go the other way. I agree that there needs to be room for everybody. That’s why we should, at a minimum, allow duplexes everywhere in the city. The price of land keeps climbing. There’s no excuse for requiring someone buy that much of it in order to live in our neighborhoods. Let two or three households split that cost so that people who don’t have enough money to buy a yard of their own can share one and still live in a decent house on a quiet street. The hate on homeowners? It’s simple: developer profits. Find anything odd about environmental priorities, climate strategies, social justice, etc.? Ask yourself, how real estate development fits in, and things are practically guaranteed to start adding up. The problem wasn’t bad landlords, it was a bad economy. During the Boeing Bust locally, and the Great Stagflation nationally, people were leaving Seattle so fast that nobody wanted many of the large single family homes. The most economical thing to do in 1976 was to subdivide such homes and rent them. I graduated from college in 1978, but in a different part of the USA, and I lived in a series of such subdivided homes and apartments in other cities during that time in my life. The landlords of the 1970s were probably doing exactly what the market signaled for in a time of disinvestment in urban housing. Mortgage rates peaked at over 12%, so nobody could continue investing in unwanted housing. But what you take for granted is that the powers of city governance and zoning should belong to you and your fellow “neighborhood activists” so that you can “defend” your neighborhood from decline. Today, in a booming economy, you claim these same powers to defend your neighborhood from higher density. In fact, the decline of 1974-1983 was a lot worse than the Great Recession, but what were then young people (boomers like me and you) made it through those times with cheap university tuition and cheap rent. (Other things were cheap too, and love was free!) Today the millennials have none of these advantages to fall back on. In 2018 we have a desperate need for housing in this city. We cannot afford to have single family homeowners monopolize the zoning process in their own interests. A clarification: the event pictured may have included an open house on the MHA rezone maps, but it was also a somewhat perfunctory engagement exercise on amendments to neighborhood plans adopted into the Comprehensive Plan, neighborhood plans created through multiple years of well documented, extensive neighborhood planning exercises. The city’s current attitude that it has the discretion to amend the adopted neighborhood plan elements at its convenience, marks the apparent end of neighborhood plans as a meaningful thing. Hence the funeral. Another clarification: the author’s impressions seem a bit inaccurate, even given that he attended only a couple of meetings. There may not be much action on Barcelona superblocks or climate action plans, but neither is there much about parking, other than when the city’s RPZ staff presented the status of some proposed new zones last year. I’m sure Doug would and did indeed find them excruciatingly dull, partly because he actually lives in Fremont but I guess mainly because presentations on the ship canal wastewater storage tunnel, transfer of city property to Dunn Lumber, public access to Lake Washington waterways, homeless czar Scarola on the move of the Ballard tiny house camp to Wallingford, preparation information for major emergencies, Find It Fix It walks, etc. … nothing of interest here. If you’re not really interested in the neighborhood per se, like he says, it’s all about MHA and other city initiatives like it, and WCC and many other neighborhood groups do tend to be where you go, if you want an alternative to Vulcan-funded development booster groups. I sort of thought the funeral for the Wallingford neighborhood voice should have been held in the 90’s when the authors of our neighborhood plan chose to ignore the votes they held on zoning where a majority voted to loosen it up to allow for more multi family and instead chose to recommend to convert existing MF housing to single family with no justification. good riddance. neighborhood planning was co-opted by well to do homeowners who largely gerrymandered themselves out of being near multifamily housing, who increased displacement pressures by restricting where new housing could go, and who literally killed affordable housing in the urban villages. 96% of the population had no say in the urban village process, how the city should go, or if new multifamily housing should be limited to an absurdly small swath of the city it presently is. because of ‘neighborhood planning’, affordable housing is illegal in almost 90% of the city. the anti-democratic WCC was literally mourning their ability to prevent affordable housing from more of the city. I don’t know what neighborhood planning you’re talking about, but what went into the comprehensive plan was limited to Urban Villages. The SF zoned parts of Urban Villages, as you know, amounts to something like 6% of the total. Multifamily zones extend outside of urban villages. I think you know all this, so why the baloney rhetoric? As for the apparent use of “affordable housing” to mean multifamily – of course the absurdity is obvious to anyone who knows what the MF market looks like here, but FYI SF also may include a fair amount of affordable housing – something like a quarter of SF is occupied by renters, and several people can split the rent and do OK. But of course the city has never been very keenly interested in knowing about that because it would only get in the way of serving their developers, so we can only speculate. The co-existence of a claim that multiple households splitting the rent makes living in a single family sized home affordable to people with less money with support for laws that make it impossible for those same folks to have their own kitchens is the perfect example of how single family zoning makes the lives of people with less rather than more money needlessly and cruelly more difficult. This poll tax is frustrating. I live in the WCC’s membership eligibility boundaries. I would very much like to have the opportunity to vote on the leadership of any group that claims to represent my interests to the city and the press, as the WCC does. And yet, I cannot bring myself to give even one cent to a group that spends its time and money working to delay housing construction in my neighborhood. Per the WCC website, dues waivers are only available to those who “cannot afford the membership fees.” I can easily afford it, but there’s no way I’m going to pay it. All organizations have expenses, a fact understood by most people interested enough to participate; perhaps you’re really not much interested after all. I recall one community council years ago with voting open to anyone who showed up. One faction packed the room with supporters and elected their people to the board. But their voters were never seen again, and the organization suffered from a single voice on the board. I bet you don’t have to pay anything to be a member of Seattle For Everyone (Vulcan et al. pick up the tab), or the Capitol Hill Renters Association (supported by the city.) Welcoming Wallingford is as far as I know mostly just a Facebook page and may not cost much to operate, but I’m sure if they needed money, there would be plenty of sources. But the benefit of a community council easily justifies the cost. For example, Wallingford has one of the two municipal waste transfer stations within the city limits, and WCC has had the skills and persistence to work with Public Utilities on the neighborhood issues with that site. That has worked out pretty well, on the whole, including a recent remodel that resulted in a rather model site, for what is literally “a dump.” WCC will eventually liberate one of our public accesses to Lake Union, that the SPD Harbor Patrol has been trespassing on (and fenced off) for decades. Etc. Every community council does stuff like that, and only community councils do it. This past year, what fraction of the community council’s budget went toward advocacy for a nice transfer station and the like, what fraction went toward making signs depicting menacing bulldozers coming for cute little houses, and what fraction went toward paying for the SCALE appeal? I’m happy to put time and money toward advocating for nicer public amenities in my area. I am strongly opposed to putting money toward prevention of housing development. If I had to guess, the former type of activity is a lot cheaper than the latter, but I’d be happy to be corrected if you’d be so kind as to open the organization’s books to the rest of us. I don’t know the precise details of WCC expenditures, but the signs? When you see a sign in someone’s front yard, the person who lives there paid for it. Wallingford is known to have contributed generously to the SCALE appeal, but primarily as individuals, not through WCC membership dues. But I don’t expect the transfer station action cost a bundle either. One of the big expenses WCC runs into, maybe the largest on a regular basis, is postal costs trying to communicate with the community, though as you can see they don’t get much credit for it. I have lived in the neighborhood for a year and received zero mailings. That’s about how much credit you get from me. Maybe you should just get off your high horse and actually participate. Roll up your sleeves and do something off-keyboard. Find a way to work with people who don’t always agree with you. You might learn something from other people, as they hopefully learn from you. Don’t worry. I do participate. I have spoken face to face with a few different elected officials about issues that are important to me, and written to several more on numerous occasions. I volunteer from time to time. I don’t sign up to be a dues-paying member of the WCC for the same reason that I don’t sign up to be a dues-paying member of the Republican Party. Both organizations will from time to time do things that I think are positive, but on balance they seem to spend most of their energy working in direct opposition to my political views. I could join either group and attempt to influence their stances from within, but I don’t think I’d get very far in either case. I think I’ll spend my time and money elsewhere. Sounds like you really are unable to work with anyone who disagrees with you.